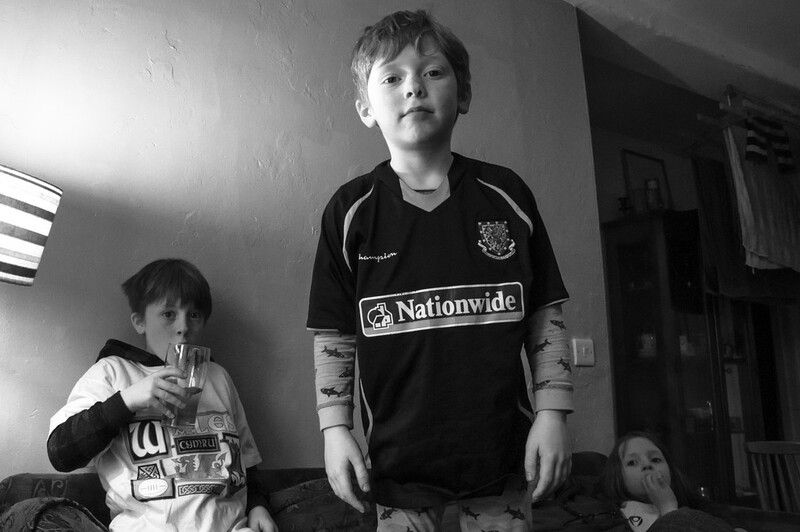 They run upstairs to put some sporty looking t-shirts on and watch a bit of rugby with us. Very much the team spirit feel, simple and honest. And a fine result. I bet everyone was happy in your household. Have you guys ever tried snow-rugby? Very outdoorsy, no protection but what the snow gives you… :-) Fun. Hope they (and you) enjoyed it as much as we did.. even without new T shirts!